Today’s world is chaotic, filled with anxiety, trauma and stress, from natural disasters, war, terrorists and the economic crisis of job loss, home foreclosures and stock market crashes. This constant stress on our minds and bodies takes its toll. Studies continually tell us stress depresses our immune system, increases risk of heart disease, aggravates weight and addictive behaviors and leads to sleep problems. Not to speak of what it does to us emotionally. Thought Field Therapy® has over 30 years of success in conquering trauma, stress, phobias, fears and addictions. It has some proven yet simple, self-help procedures (based on the body’s meridian system) that will decrease the stress we experience daily. The recording below is an explanation by Dr. Callahan of the Voice Technology process, as well as a sample of the successes we've achieved. If you are using Internet Explorer, you may need to click the player twice to make it play. (All other Web browsers will let you click once.) If you do not see the MP3 player, then you don't have the Flash player installed. Private consultations are delivered over the phone in the privacy or your own home by Joanne Callahan using the Voice Technology procedure. 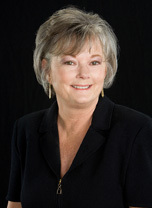 Sheila Crouser in our office at +1 (760) 564-1008.